Do you know the #1 reason why most books fail? Have you heard of RL Mathewson? Most writers have – she’s one of the most successful self-publishing writers in the world. It wasn’t always that, way though. Once upon a time, she was happy just to see a few sales a day. She poured her blood, sweat, and tears into her novels, and was pleased to have earned a small, devoted following, but she wasn’t exactly taking the world by storm. Then, in the summer of 2012, everything changed. On May 29th, she made one simple change to her book. 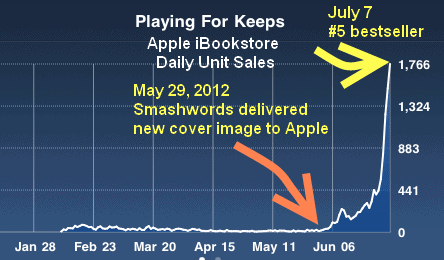 Her sales exploded almost overnight, and by July 7th, her book “Playing for Keeps” was #5 on the New York Times bestseller list. Her books have been a fixture on Apple and the Times’ bestseller lists ever since. So what caused such a dramatic turnaround? And it wasn’t offering more samples. No, the one little tweak that changed her career forever was scrapping her generic covers and investing in a hiring a book cover designer for high-quality book cover design. You can still see the difference between covers (print has the old version, Kindle version is updated). …but the truth is that most people do. And with the Kindle and Apple stores getting more crowded every day (apparently there are around 3ooo books published on Amazon daily (yes, every day!!!! ), so it’s more important than ever to have a cover that grabs your reader’s attention and piques their curiosity. 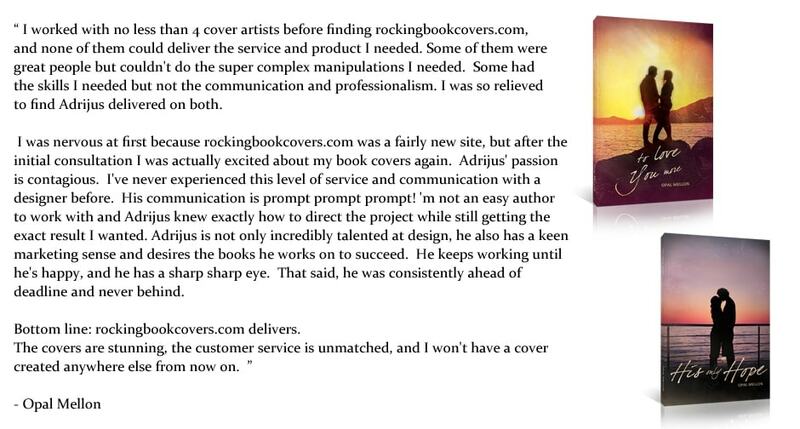 Would You Like to Get a Book Cover Design? If you’re interested in doing a book cover for your upcoming book and want the first 3 design concepts in next 5-7 days, check out my pricing and design packages on Pricing&Services page! It features additional information about how things work, what to expect etc. P.S. So who am I? My name’s Adrijus and I’m a professional book cover designer who specializes in dark, gritty covers that grab fans and make them want to check your book out. My style is most suited for these Fiction genres – Thriller/Crime/Horror/Romance/Suspense/Fantasy genres.. or those who like to break rules! 😉 I have done multiple of Non-Fiction covers so if you are is looking for non-standard designs, then we will come up with great options!